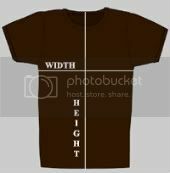 Shirt is 18" wide & 25.5" in length from shoulder to bottom of shirt. Black Shirt $9.99 - Free Shipping. Size Youth XL/L & M - For Youth XL here is the size dimensions: Width on chest 18"/ Height 25.5" from shoulder to bottom/Sleeve length is 5.5". Email in the form below for size dimensions on Youth Large & Medium. All shirts are black with a soft fitted feel, they may still shrink a little. Sizing is similar womens. A few Youth Mediums are available, email for sizing on the form at the bottom of this page. *Click here to arrange via email all other international (PayPal shipment) of the "Satire On Satan?" CD or for T-Shirt sizing/availability (only a few sizes are remaining). This website can not be duplicated in any way without written consent from the author.